The development of science has been a distinctive feature of human history in recent times, especially in the seventeenth and eighteenth centuries. 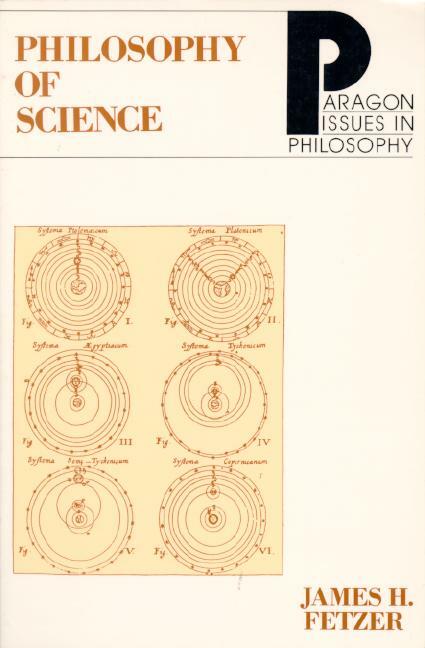 In light of the problems that define the philosophy of science today, James Fetzer provides a foundation for inquiry into the nature of science, the history of science, and the relationship between the two. In Philosophy of Science, Fetzer investigates the aim and methods of empirical science and examines the importance of methodological commitments to the study of science and the significance of interpretations of probability for understanding laws of nature and scientific explanations. This book offers a welcome framework for investigating the most recent work and the most promising solutions to the central problems that arise within this discipline. The result is a timely introduction to an increasingly important field. Chapter 3. What are Scientific Theories? Instrumentalism vs. Realism • Naturalized Epistemology • Evolutionary Epistemology • Paradigms, Change, and Truth • Could Sociology of Science Be(come) Philosophy of Science? JAMES H. FETZER is professor and chairman of the department of philosophy at the University of Minnesota, Duluth. In addition to publishing more than seventy articles and reviews, he is the author of Philosophy and Cognitive Science, Second Edition, Revised and Expanded (1996), the editor of Foundations of Philosophy of Science: Recent Developments (1993), and coauthor of The Paragon Glossary in Cognitive Science (with Charles Dunlop), and The Paragon Glossary in Epistemology/Philosophy of Science (with Robert Almeder), all published by Paragon House.